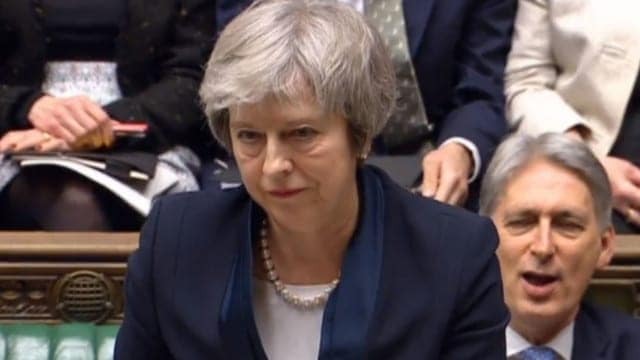 In the biggest defeat for a sitting government in the history of Britain’s Parliament, Prime Minister Theresa May’s Brexit deal has been rejected by 230 votes. Her deal is now dead. The Brexit debate has cut across traditional party lines when 118 Conservative MPs voted with the opposition parties against her deal. Without the rebel Conservative votes, she would not have been defeated. MPs voted by 432 to 202 to reject the deal, which sets out the terms of Britain’s exit from the EU on 29 March. The defeat is a huge blow for Mrs May who has spent more than two years trying to hammer out a deal with a very reluctant and hostile EU. Her plan was aimed at bringing about an orderly departure from the EU on 29 March, and setting up a 21-month transition period to negotiate a free trade deal. The UK is still on course to leave on the 29 March but the defeat throws the manner of departure and its timing into additional doubt. The Labour party leader Jeremy Corbyn has tabled a vote of no confidence in the government, which could trigger a general election. The confidence vote is expected to be held on Wednesday. MPs who want a softer version of Brexit as proposed by Mrs May are arguing either to leave without a deal, or to go for a second referendum to stop Brexit altogether. These MPs will most definitely increase their energies to get what they want. She offered cross-party talks to determine a way forward on Brexit. This will of course depend on whether or not she succeeds in winning the confidence vote. At the moment, no one in the UK leadership from all parties is sure how matters will unfold even if Mrs May gets the confidence vote or will be forced to have new elections. What is certain is the UNCERTAINTY of the whole situation which will impact the UK and Europe politically, socially and economically particularly in the next few months and the months thereafter.